Thorium is a silvery-white, radioactive metallic element of the actinide series. The only naturally occurring isotope of thorium, Th 232, is also its most stable, having a half-life of 14.1 billion years. Atomic number 90; atomic weight 232.038; approximate melting point 1,750°C; approximate boiling point 4,500°C; approximate specific gravity 11.7; valence 4. It is used for fuel in some nuclear reactors and for improving the high-temperature strength of magnesium alloys. Thorium was discovered in 1829 by the Norwegian amateur mineralogist Morten Thrane Esmark and identified by the Swedish chemist Jöns Jacob Berzelius, who named it after Thor, the Norse god of thunder. 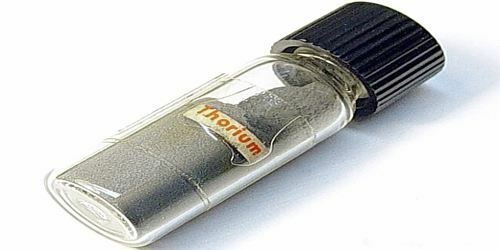 Thorium is an electropositive actinide, whose chemistry is dominated by the +4 oxidation state; it is quite reactive, prone to ignition on air when finely divided. Compared to the uranium that powers today’s nuclear plants, thorium is more abundant and widely distributed in the Earth’s crust. It also offers various safety benefits over uranium: it’s not prone to runaway chain reactions that can lead to nuclear disasters; its waste products remains dangerous for a much shorter period; and its byproducts aren’t useful for making nuclear weapons. The most common source of thorium is the rare earth phosphate mineral, monazite, which contains up to about 12% thorium phosphate, but 6-7% on average. Monazite is found in igneous and other rocks but the richest concentrations are in placer deposits, concentrated by wave and current action with other heavy minerals. It exists in nature in a single isotopic form – Th-232 – which decays very slowly. The decay chains of natural thorium and uranium give rise to minute traces of Th-228, Th-230 and Th-234, but the presence of these in mass terms is negligible. It decays eventually to lead-208. 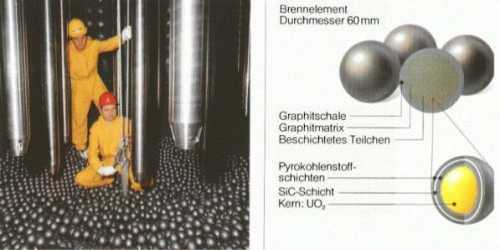 The properties of thorium vary widely depending on the amount of impurities in the sample: the major impurity is usually thorium dioxide (ThO2). The purest thorium specimens usually contain about a tenth of a percent of the dioxide. Experimental measurements of its density give values between 11.5 and 11.66 g/cm3: these are slightly lower than the theoretically expected value of 11.7 g/cm3 calculated from thorium’s lattice parameters, perhaps due to microscopic voids forming in the metal when it is cast. These values lie intermediate between those of its neighbours actinium (10.1 g/cm3) and protactinium (15.4 g/cm3), showing the continuity of trends across the early actinides. 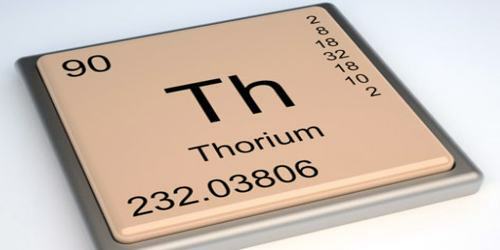 Thorium is an important alloying agent in magnesium, as it imparts greater strength and creep resistance at high temperatures. Thorium oxide is used as an industrial catalyst. It can be used as a source of nuclear power. 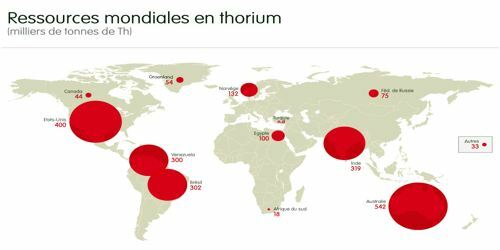 It is about three times as abundant as uranium and about as abundant as lead, and there is probably more energy available from thorium than from both uranium and fossil fuels. India and China are in the process of developing nuclear power plants with thorium reactors, but this is still a very new technology. Thorium dioxide was formerly added to glass during manufacture to increase the refractive index, producing thoriated glass for use in high-quality camera lenses.